AMCAL's David Moon addresses the Arcata City Council. Arcata's The Village housing project is not dead, the City Council decided last night with a unanimous vote to reconsider the newly revised development proposal. The project will go through three more review hearings before moving forward: one with the Arcata Planning Commission and two more with the council, including one focused on vacating St. Louis Road, said Arcata Community Development Director David Loya. Developers presented their proposed 600-bed development to the council back in August but the council split, stalling the project. Five months after the project appeared dead, the developer — AMCAL — reviewed and revised its plans to include an open market and to open half the apartments up to non-student community members. The revisions were publicly unveiled at an informal meeting Jan. 31 but locals still expressed concerns about impacts on the surrounding neighborhoods, including parking, traffic and an influx of hundred of students. The housing project would sit on the 10-acre Craftsman Mall site on St. Louis Road, across U.S. Highway 101 from L.K. Wood Boulevard just north of campus. 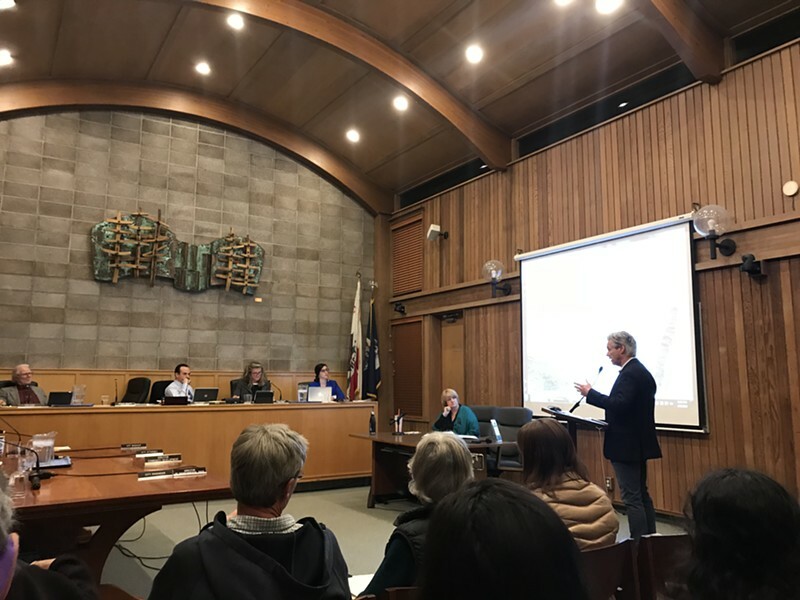 AMCAL's David Moon told the council last night that the proposed 651-bed facility will dedicate half of its units to non-student residents and will include amenities like a gym and a childrens play area. It will also feature solar panels, a walking trail and car and bike sharing programs, he said. Moon was pleased to see the council move the revived project forward.